The British Council’s Visual Arts and Architecture Design Fashion (ADF) teams are seeking a Venice Fellowships Manager. The successful candidate will establish, manage and develop the Venice Fellowships Programme for the British Pavilion in Venice, for both Art and Architecture Biennales, building partnerships with the Higher and Further Education sectors and developing programmes with Art and Architecture students. The Venice Fellowships Programme provides a unique opportunity for students to spend a month in Venice during the world’s most important art and architecture festivals. As part of the programme, fellows share their time between invigilation of the British Pavilion exhibition, and independent study and research. 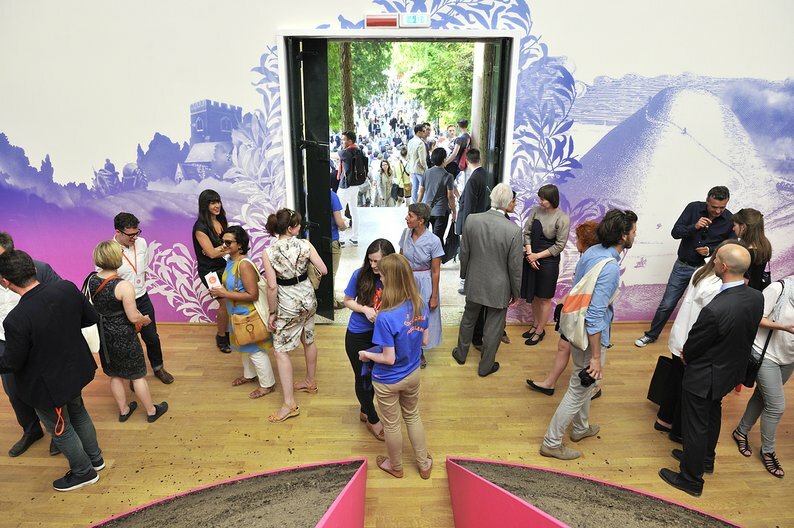 Individual research projects are guided by the focus of the Biennale and the exhibition, and contribute to a cumulative piece of research, forming part of the British Council’s Venice archive. The Programme was originally launched to coincide with the Architecture Biennale in 2014, and ran for a second time in 2016. Devise a Venice fellowship programme that meets the needs and standards of higher and further education institutes and is in-line with the British Council corporate objectives. Manage all aspects of the programme successfully from conception to delivery and evaluation. This includes programme project management – setting programme objectives, setting and managing the programme delivery budget, setting and managing the programme schedule, identifying and mitigating risk, drafting an evaluation plan and dissemination of research outputs. Manage the fellows, in the lead up to the opening of the British Pavilion and for the duration of the Venice Biennale exhibition, including induction, training, guidance and identifying stewarding requirements as well as managing the recruitment process to ensure that the exhibition is adequately safeguarded and meets with international museum standards of care (in line with loan and insurance agreements) and British Council standards of risk. Create a sustainable business model for the fellowship programme which may include partnership, fundraising and promotional opportunities created by the British Council’s presence in Venice, particularly in the education and skills sectors in the UK and partnerships. A track record in managing partnerships between arts and/or education institutions. In the Visual Arts and Architecture Design Fashion teams we use our connections and understanding of the UK contemporary art and design sectors to advise and support our international colleagues on working with art and design within cultural relations programmes and provide a link to the UK. Together we develop projects to encourage showcasing, collaboration and professional exchange. We work in partnership with artists, designers and curators to build relationships between the visual arts and architecture, design and fashion communities in the UK and around the world. The British Council was founded to create ‘a friendly knowledge and understanding’ between the people of the UK and wider world by making a positive contribution to the countries we work with, and in doing so making a lasting difference to the UK’s international standing, prosperity and security. The programmes we use to do this are wide-ranging and cover the arts, education, English, science and society. The closing date for applications is Sunday 12 February 2017. For full role profile and to apply, click here.